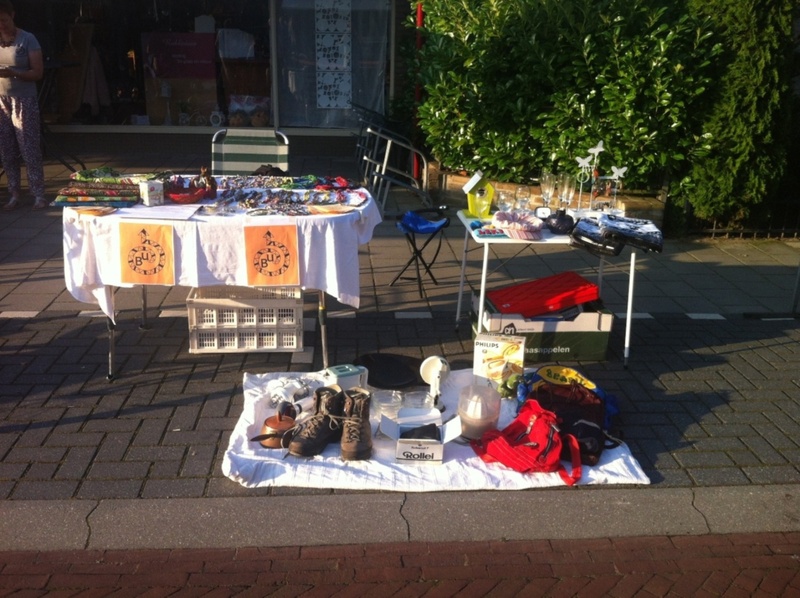 On August 23, 2014, we represented Backup Uganda at our own stand at the Pompdagen market in Heino, selling some of our own ‘vintage’ collection. Although rain made people a little less excited to pass by, some nice items were sold even before the market started. On an extremely sunny 22nd of August, 2015, we brought our merchandise and our sales skills to the Pompdagen in Heino for the second time. This time, we brought handmade Ugandan jewellery as well. Of course, we also talked a lot about Backup Uganda’s goals and activities to get people interested and involved, from former neighbours to primary school teachers. One of them even won a cake for winning a quiz about literacy in Uganda.